The Leigh Ladies Choir is a wonderful bunch of friendly ladies of all ages from Leigh, Kent and surrounding areas. We rehearse on Thursday evenings at 8pm in Leigh Primary School’s Jessica’s Hall, during term time. The choir does not audition. Tamsin (the conductor) strongly believes that everyone has a voice worth hearing. The voice is a muscle that gets stronger the more it is used. You couldn’t ride a bike without someone teaching you – so why should you be able to sing brilliantly without some vocal coaching? Although there are no auditions, and there is no need to be able to read music, the choir still sings challenging and wonderful music from all over the world and from many different genres. You will soon be able to hear the choir singing on our videos page. 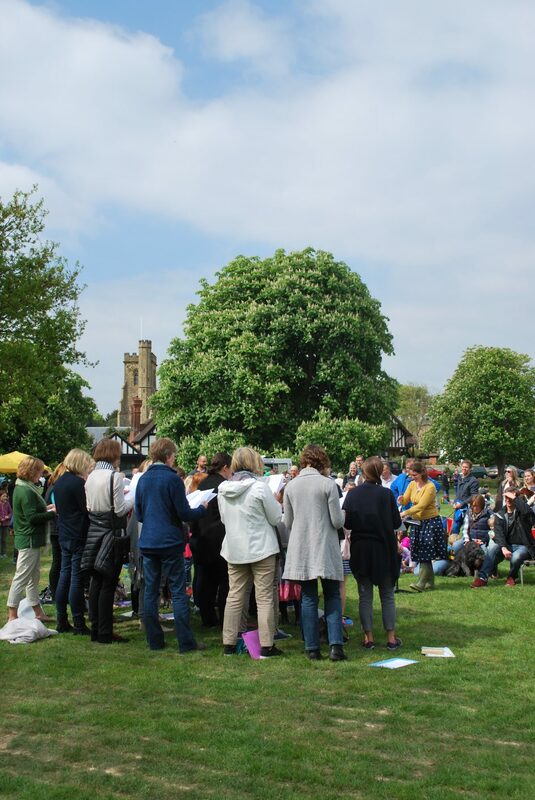 The choir performs a couple of concerts every year and can be seen at various village events throughout the year.